Or stay in one of the last trams out of Brisbane, beautifuly refurbished as accommodation and a great place to stay. Built in 1852 and licensed around 1887 on the Banks of Black Gully Creek. Moved in 1898 by bullock team to its present location to preserve this great building from floods. 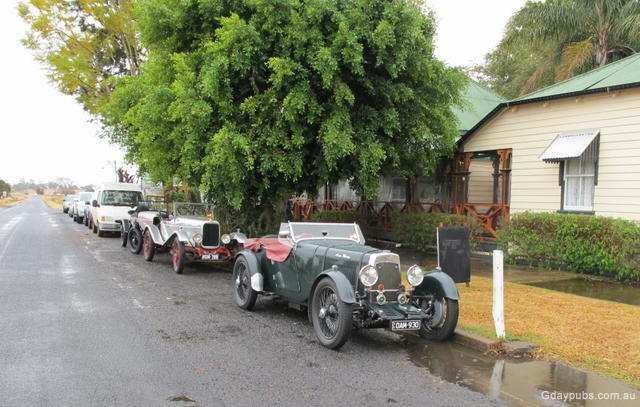 "Took the VCCQ to the Historic Rosevale Pub on Saturday for lunch. 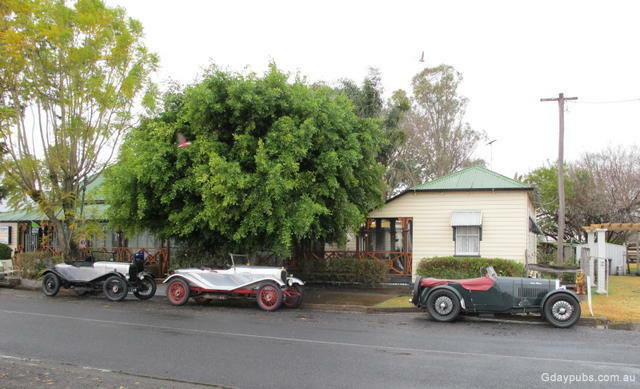 It has been extensively renovated and is still a great Pub with excellent food and thankfully good wet weather cover and heating in the courtyard. Great place for a quiet mid week getaway as well. Accomodation available in an old tram in the gardens." 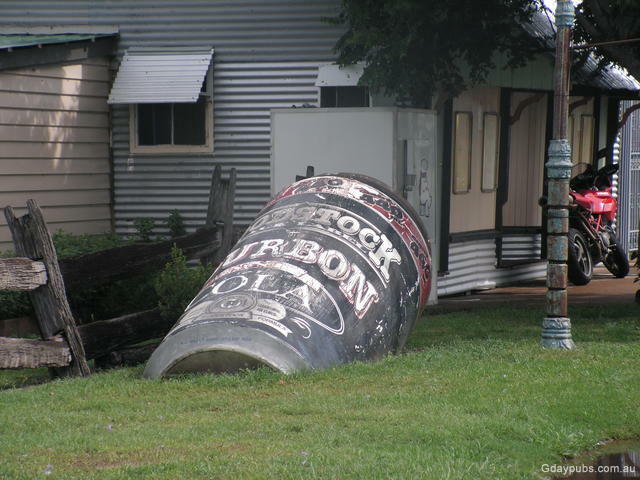 The large oak barrel is taken outside the Rosevale pub in Qld.